GRAFF's unbeaten record will on the line at Rosehill Gardens on Saturday in a race that has a proven history of producing top-class sprinters. The promising Graff resumes in another quality edition of the Group 3 $150,000 San Domenico Stakes (1100m). Owner Alan Bell, who purchased Graff for $200,000 at the Magic Millions Yearling Sales last year, was under no illusions yesterday about his colt's task to improve his race record to three wins from as many starts. 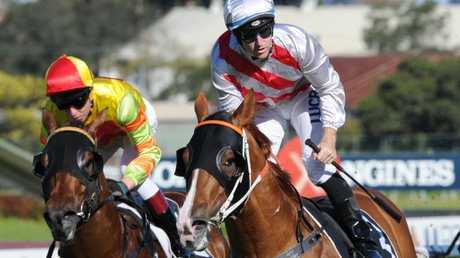 "It is phenomenal how difficult this race is to win,'' Bell said of the San Domenico Stakes. The honour roll of San Domenico Stakes winners underlines Bell's view. 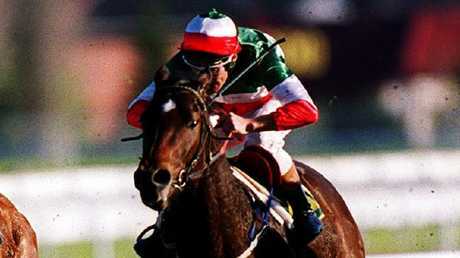 Testa Rossa won the 1999 San Domenico Stakes before going on to win a string of Group 1 races. Since 1995, no fewer than 12 San Domenico Stakes winners trained on to win at Group 1 level - Our Maizcay (1995), General Nediym (1997), Testa Rossa (1999), Mistegic (2001), Regimental Gal (2003), Charge Forward (2004), Gold Edition (2006), Duporth (2008), Shellscrape (2009), Foxwedge (2011), Snitzerland (2012) and Japonisme (2015). Bell, a renowned judge of a thoroughbred, has raced a previous San Domenico winner, the outstanding Star Turn, an authoritative winner in 2016. Star Turn came out of his San Domenico Stakes win to finish second behind Astern in the Run To The Rose before beating older horses in the Group 2 Schillaci Stakes. He then finished his career with four successive Group 1 placings in the Coolmore Stud Stakes, Lightning Stakes, Newmarket Handicap and William Reid Stakes. Although Star Turn, who is now standing at Vinery Stud, wasn't able to crack it for a Group 1 win, his name rests comfortably alongside other San Domenico Stakes winners. Graff is by leading stallion Star Witness, the same sire as Star Turn, and he showed natural ability winning his only two starts during his juvenile season including his impressive effort in the Clarendon Stakes at the Hawkesbury stand-alone meeting in April. Although Graff's winning margin was only slender that day, it was an outstanding effort to overcome a moderate early tempo and sprint home his final 600m in close to 33s, a brilliant sectional split. Trainer Kris Lees then took Graff to Brisbane for the winter carnival, but a barrier mishap at Doomben meant the colt didn't race. A rival runner was playing up in an adjacent stall and Graff, hearing the gates crashing, made a lunge at the barrier and suffered a minor abrasion to a knee. "The vets made the right call to scratch the colt, so once we missed that race we decided to turn him out,'' Bell said. 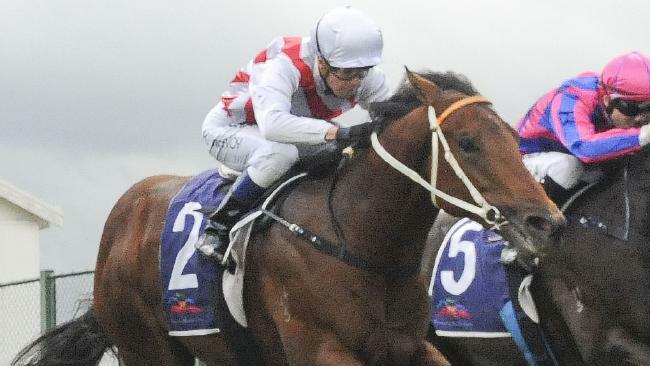 In San Domenico Stakes betting on Friday, Graff was at $7.50 with Ladbrokes' fixed odds behind Performer ($3.90) favourite), Plague Stone ($4) and Neutrality ($4.40). Graff goes to the San Domenico off one barrier trial, where he finished alongside Jonker at Gosford over 800m earlier this month. "I thought Graff did well to finish so close as he raced a bit wide in that trial,'' Bell said. "Jonker is a pretty quick horse over a short course and we were happy with the way Graff steamed home. He is a big, powerful colt and will take improvement from that trial.